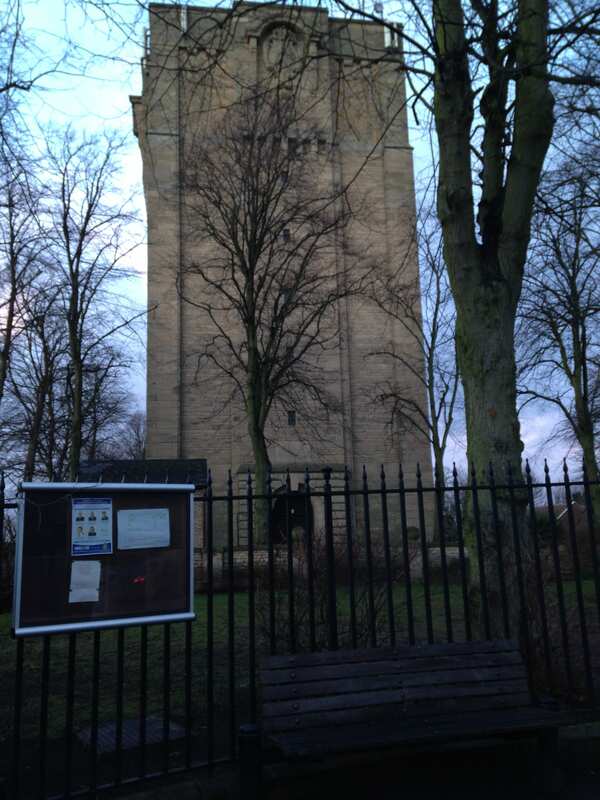 The Lincoln Water Tower. 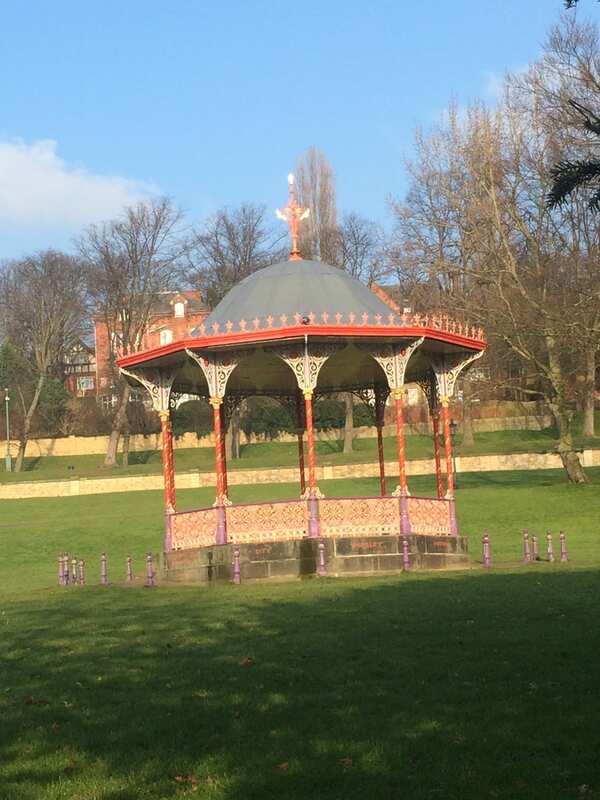 Built after tragic typhoid outbreak between November 1904 and April 1905 when 1006 people in Lincoln contracted typhoid and 113 died. Due to its design, the Westgate has a rather unusual cleaning method. A cleaning team is lowered into the tower in a dinghy and cleans the tank from top to bottom. 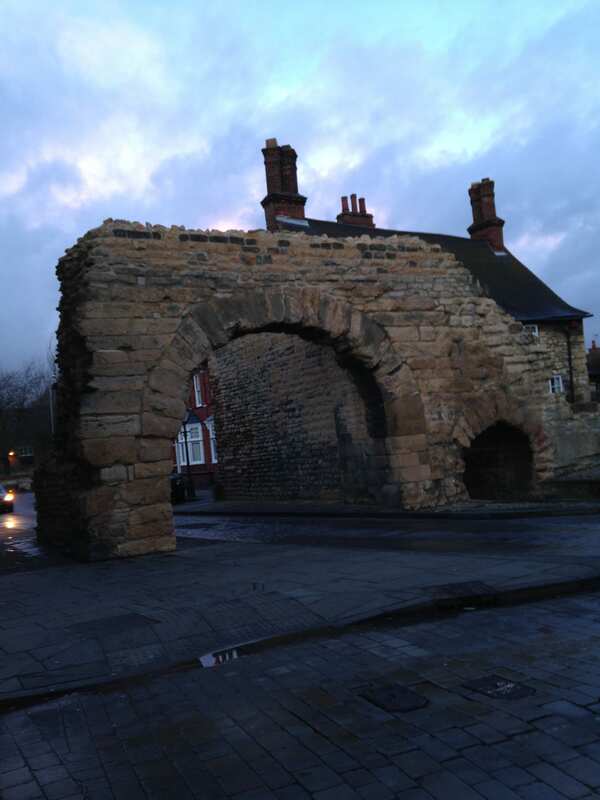 Newport Arch, the only roman gateway in Britain you can still drive through!. I took a photo of the arch, as i found the lone structure intriguing. Another Roman image. Roman East Gate. 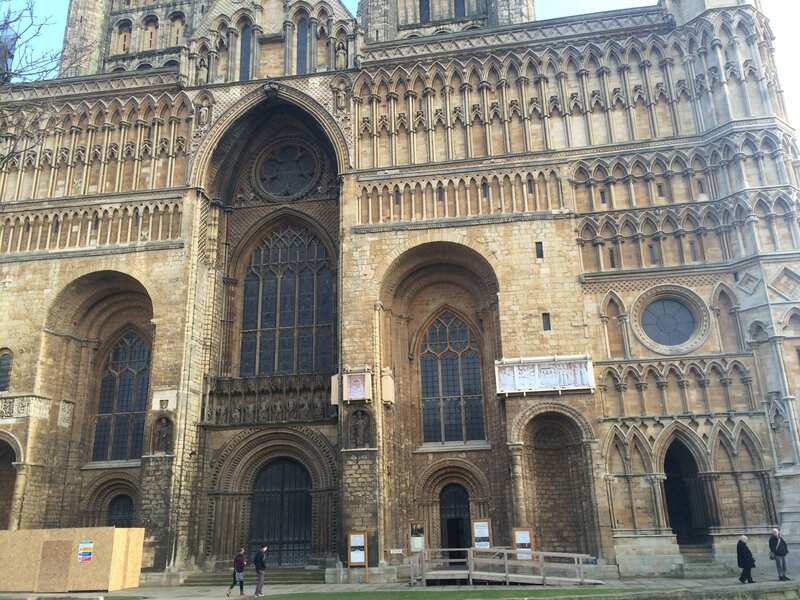 I had never discovered this feature of Lincoln until our drift. I went on to research my findings and i came across key facts about the remains. 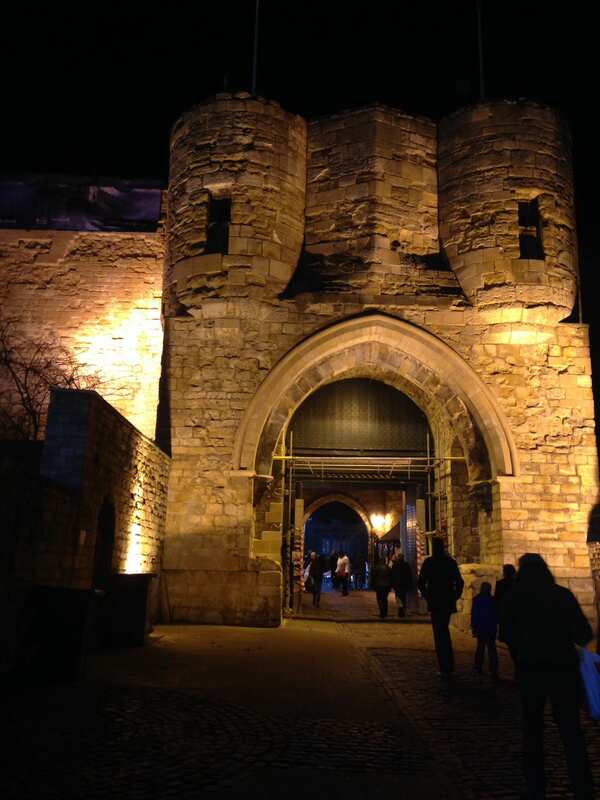 The north tower and adjacent city wall of the Upper City lie in the forecourt of the Lincoln Hotel in East Gate. The visible remains are the rebuilt gate, dating from the third century AD. 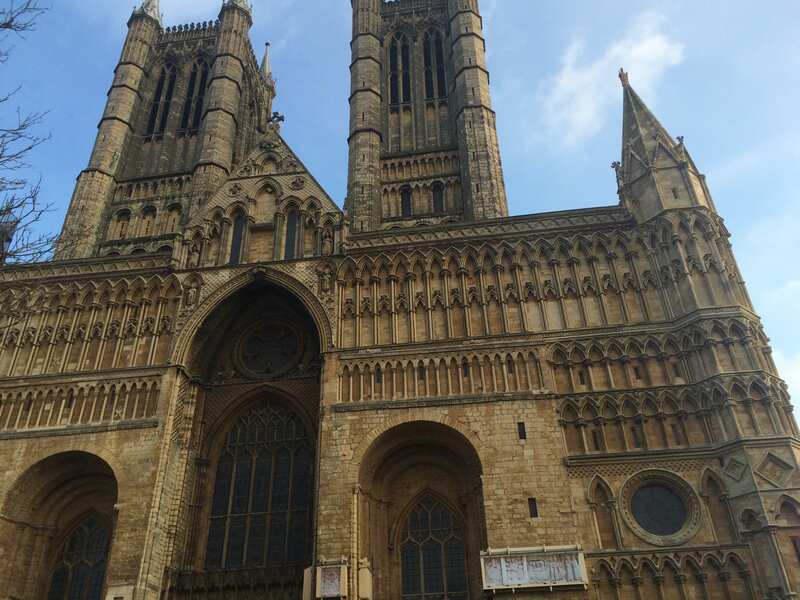 The Lincoln Cathedral is just magnificent, i especially find it captivating at night when the lights are on and you can view it from most places in Lincoln. The Cathedral is the third largest in Britain, and is regarded by many architectural scholars. During our drift the building which captured our eyes and imaginations was The Lawn.The Lawn was built for the purpose of being a hospital for people who suffer from mental illness. It opened in 1820 as a mental institution. The hospital didn’t use barbaric treatments, nor did it restrain its patients as was thought necessary to keep them under control in previous years. In 1985, the hospital was closed and the buildings were acquired by the City Council and used as a visitor and conference centre. The Lawn is still a tourist attraction today, and has an imitation of the hospital cells with manikins which are quite realistic and can often cause a scare. 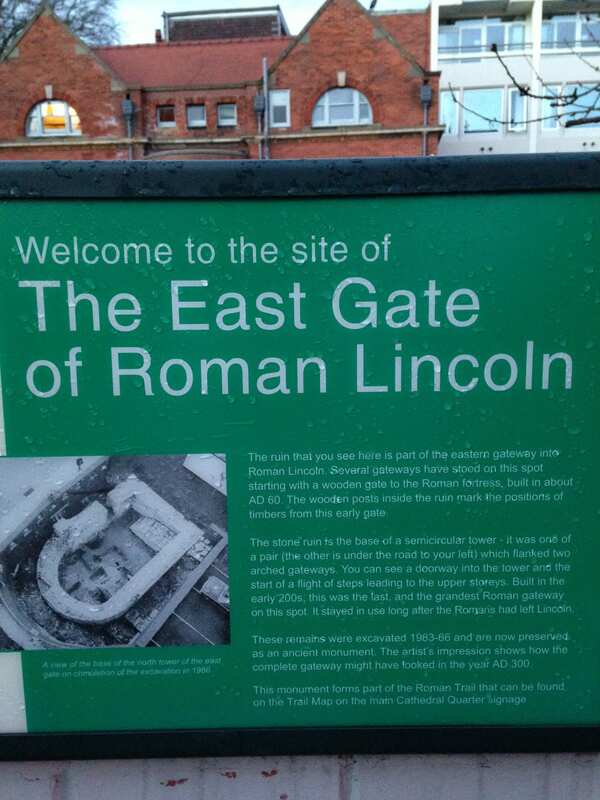 Me and my group are excited to research more into the history of this specific feature of Lincoln. I took these photos because these are the places I think of when I think of Lincoln. From everywhere in the town you can see the cathedral and because of this I wanted to include pictures of it. 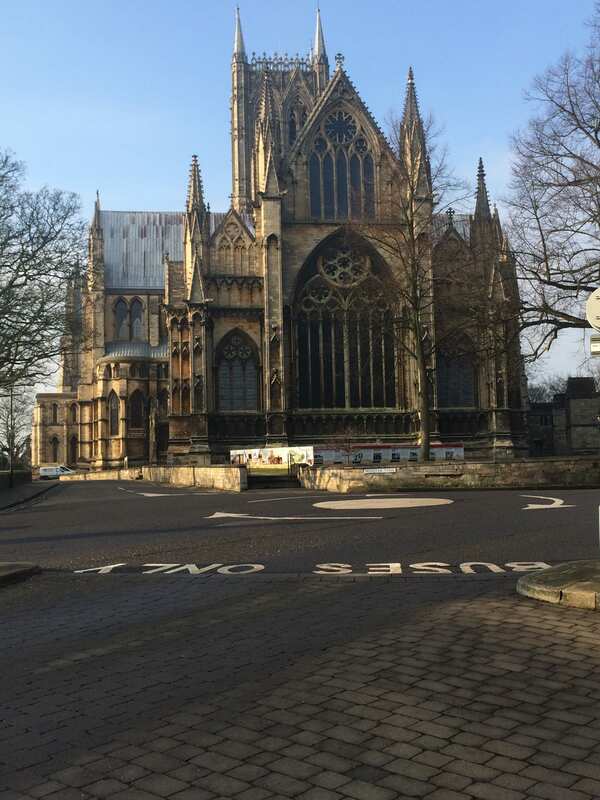 I like the photo of the back of the cathedral because it’s not a side I usually visit and I only see the side of the cathedral when I’m in town and the front of the cathedral when I walk up Steep hill. The back of it reminds me of a church at the city centre in Cambridge. I also went to the Arboretum park because I think it’s such a peaceful place and the music stand is beautiful. I live in the countryside so coming to this park helps me feel like I’m at home because of the quiet and the beautiful nature. As well as responding to my questions in the previous post, please read Govan’s Revisioning Place, and Pearson’s Place Exercises. Both of these are on the BB site. Please comment here on the blog. Good work this week. 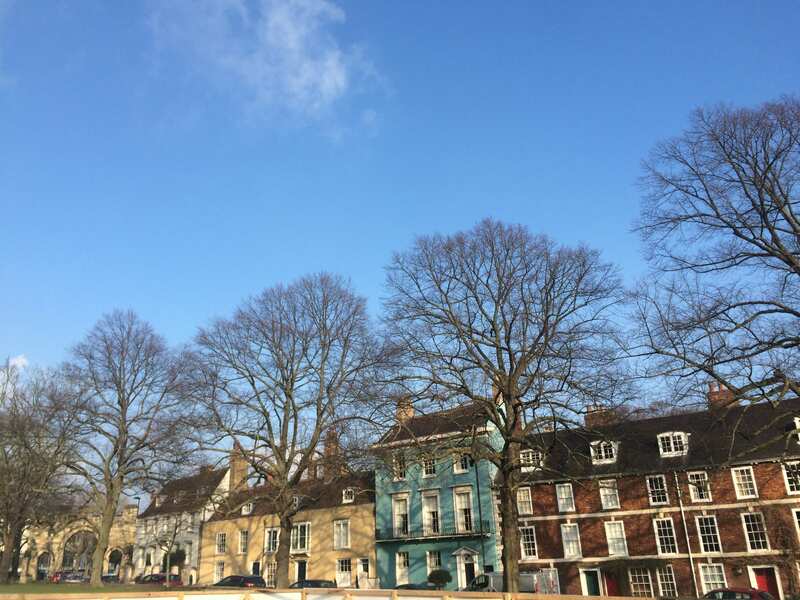 I hope you have enjoyed your drifts and that in your groups you are beginning to explore the City more thoroughly – and differently. We talked about Wilkie’s categorisations of site. Consider how your work will be specific to the site, rather than generic or sympathetic. How can you include specificity? We talked about being investigators, discoverers, researchers, consider the ways that you can do this for your ideas. We talked about space. We talked about the difficulties of defining space, especially a space that we don’t know exists. When do you think a space is a place? What makes a space a place? 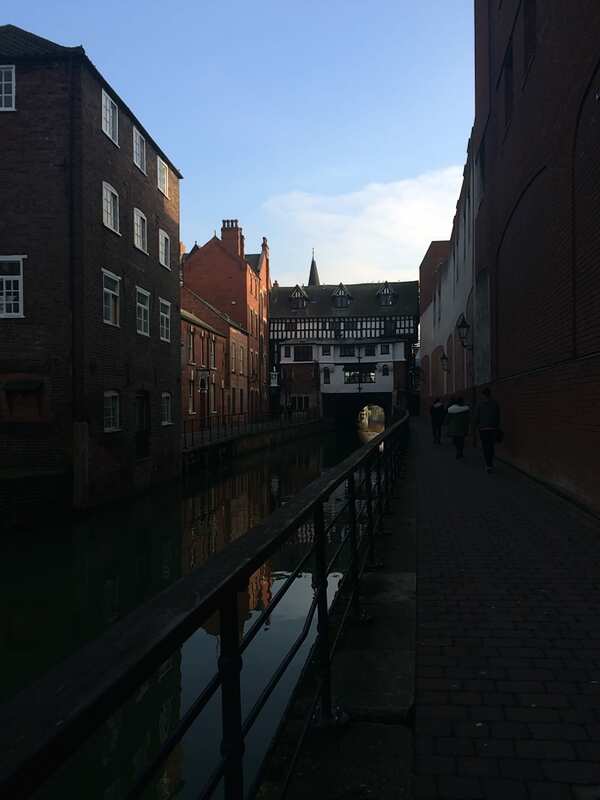 Here is a photo I took at the Christmas market of some of the fascinating architecture that you can find around Lincoln. One of my favourite times to see the cathedral and castle is at night due to the awe and majesty that the buildings have went the lighting is cast upwards.